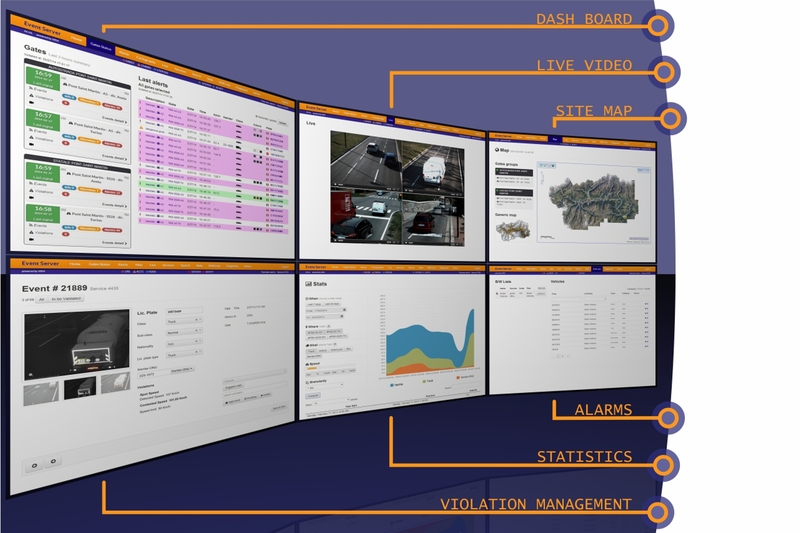 All T-KRIA products are centralized on a multifunction Event Server and a web platform to visualize, check and export events, for the statistics analysis of data and alarm management. Thematic maps and live video functions are exported to the back-end , this system main functions are completed by the management of fines and operators. T-Traffic products by KRIA: T-ID, T-XROAD and T-EXSPEED can satify a wide range of needs as to the traffic area.